The list includes names like Viv Richards, David Warner and Virat Kohli none of whom occupies the top spot. 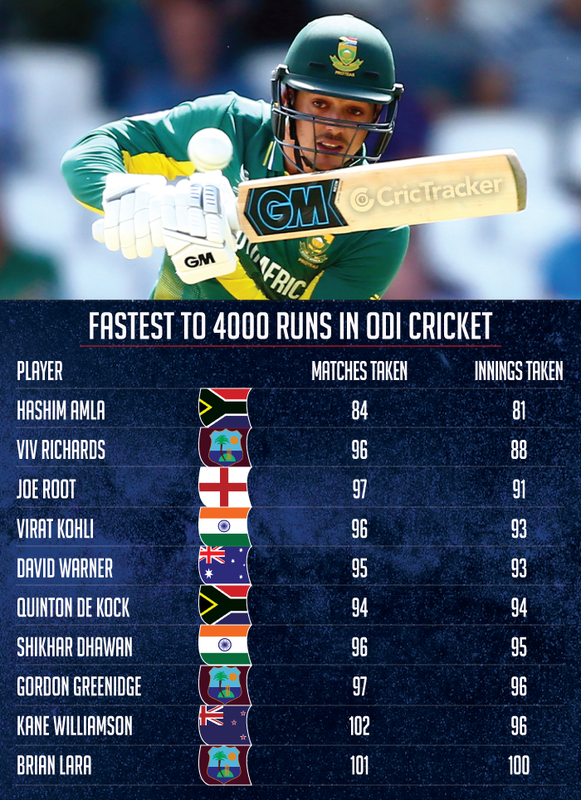 Hashim Amla, the South African opener is the fastest batsman to score 4000 runs in ODI cricket. Amla is one of the few players in the current generation who still plays textbook style cricket. He has proved to the world that with proper cricketing shots, a batsman can still reach the pinnacle. Amla took 81 innings to take his tally to 4000 runs. He achieved this feat on 8th December 2013, against India in Durban. He got there in 5 years and 274 days from the time he made his debut, breaking the 28-year-old record held by Vivian Richards. Viv Richards, considered to be the most destructive batsmen of his generation is second on the list. Richards took 88 innings to score 4000 ODI runs. He achieved this feat on 14th April 1985, as he scored 51 against New Zealand in the 3rd ODI of the series. England’s Test captain Joe Root got there in 91 that puts him third on the list. He achieved this milestone in a 5-match series against West Indies in 2017. Virat Kohli and David Warner are tied on the fourth spot as both have taken 93 innings to score 4000 runs. Kohli achieved this feat on 19th January 2013, against England at the JSCA Stadium in Ranchi while Warner crossed the mark in the 2017 Champions Trophy. Both the players have made a huge impact for their national sides. 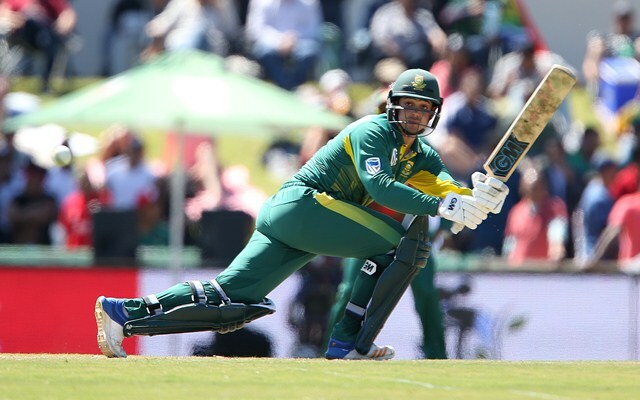 Quinton de Kock, another Proteas opener successfully scored 4000 runs in 94 innings. De Kock is not an orthodox batter like Amla but his swashbuckling performances in the power play has made him a regular in the side. Indian opener Shikhar Dhawan, who gets his team off to some flying starts needed 95 innings to achieve this milestone. His strike rates in excess on 100 makes him a formidable ODI player. Gordon Greenidge and Kane Williamson have taken 96 innings to cross 4000 runs. Greenidge, a West Indian player achieved this feat on 21st May 1988, while playing the 2nd ODI against England at Headingley, Leeds. The latter, Williamson has been a consistent performer for New Zealand and is currently rated as one of the best batsmen in the business. Brian Charles Lara, the West Indian legend, ranks 10th in the list. Lara took exactly 100 innings to score 4000 ODI runs. He achieved this feat on 30th March 1996, playing in the 3rd ODI against New Zealand in his home ground in Port-of-Spain. Stay updated on ‘today’s cricket news‘ with CricTracker.com.